Champions Baseball Academy is offering workouts this spring for Jr. High players. Champions’ staff will hold pre-season training camps for advanced high school players ages 11-15. Through intensive instruction on offensive / defensive skills & conditioning, players will have the opportunity to improve their skills and gain an edge on their competition preparing for the upcoming season on our indoor turf infield. This training camp includes 4 weeks of workouts and will run through the week of March 30th. The cost of each workout is $80.00 per fundamental. Hitting (Tuesdays 7:00-8:00pm): This workout is for all players and focuses specifically on hitting mechanics & other offensive parts of the game, including hitting to all fields and off-speed pitches. Fielding (Tuesdays 8:00-9:00pm): This workout focuses on fundamental infield play, double plays, etc. ; lots of ground balls, footwork, and back hands! 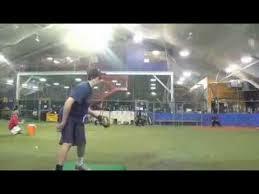 Pitching (Thursdays 7:0o-8:00pm): This workout is specifically designed or pitchers to work on mechanics, fielding practice, and various pitches. Catching (Thursdays 7:0o-8:00pm): This workout is specifically designed or pitchers to work on mechanics, fielding practice, and various pitches.